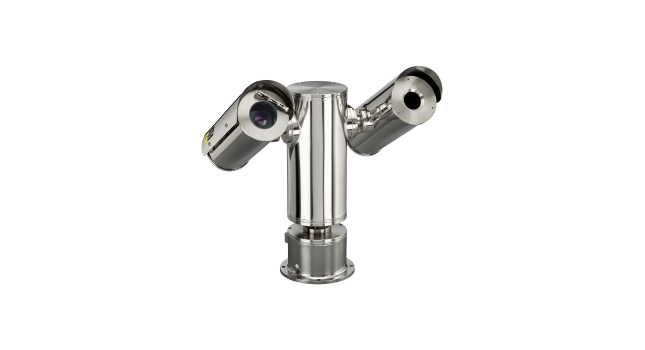 This is a 1080p HD IP camera and thermal IP camera built into a dual PTZ camera station designed for use in harsh environments like: onshore, offshore, marine and heavy industry. 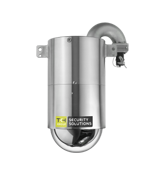 The camera housing is constructed from electropolished 316L stainless steel for maximum corrosion protection and is fitted as standard with sunshield, wiper, and a thermostatically controlled heater element. 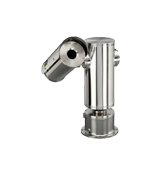 The camera can be optionally fitted with a washer tank with submerged washer pump. 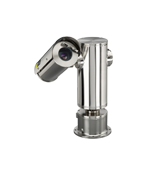 Fitted as standard, the camera is equipped with a thermal imager. 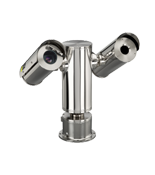 Distractions, such as headlights of a car or search lights, can cause false alerts when CCTV cameras are used for detection analytics. 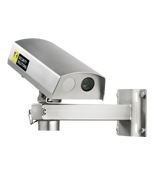 The thermal LWIR sensor makes detection possible in all weather, no-light and difficult lighting conditions. 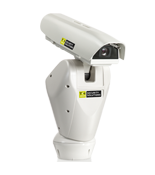 This is also equipped with an 18x optical zoom full–HD 1080p IP day/night camera. 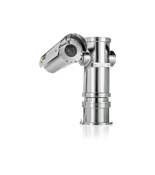 The camera is ONVIF Profile S compliant and supports the open standard (OSA) HTTP API for ease of integration. 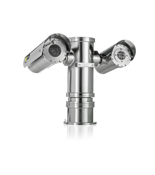 The integrated 1080p IP day/night camera has quad-stream capability for simultaneous streaming of H.264/H.264 or H.264/ MJPEG. Full-HD 1080p streaming with a D1 second stream or dual 720p streams is possible. Multiple combinations of resolution and frame rate can be configured to satisfy different live viewing and recording scenarios. 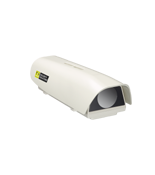 The thermal imager has dual-stream capability for simultaneous streaming of H.264/H. 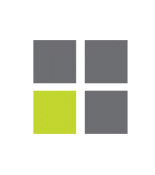 264 or H.264/MJPEG. The camera can be used in conjunction with the VDG Sense video management solution and is also designed to be compatible with most common video management systems. The camera can be selected with 24 Vac, 115 Vac, and 230 Vac power option.